The story of the creation of the Volvo P1800 begins back in 1953 when Volvo co-founder and Vice-President Assar Gabrielsson visited the USA and while there he had the opportunity to visit GM and see the new (C1) Chevrolet Corvette production line at Flint, Michigan. While in the US Gabrielson also observed that European sports cars such as those from Britain, Italy and Germany were becoming popular, especially with celebrities. Assar Gabrielsson could see that if the Germans and the British could make exotic sports cars that American movie stars would buy and be seen driving around in then surely Volvo could do that also. Such a car, and such publicity would certainly be good as a way to pave Volvo’s entry into the lucrative American market. Inspired by the possibilities Assar Gabrielsson entered into discussion with a company named Glasspar, who made fiberglass moldings for boats and automobiles, and commissioned them to design a sports car based on the mechanicals of Volvo’s rather unexciting PV444 sedan. Glasspar designer Bill Tritt got to work and had a set of design drawings ready for Gabrielsson before he left the United States and returned to Sweden. Glasspar already had a good track record in car production being the makers of the fiberglass bodies for the Kaiser-Darrin sports car. 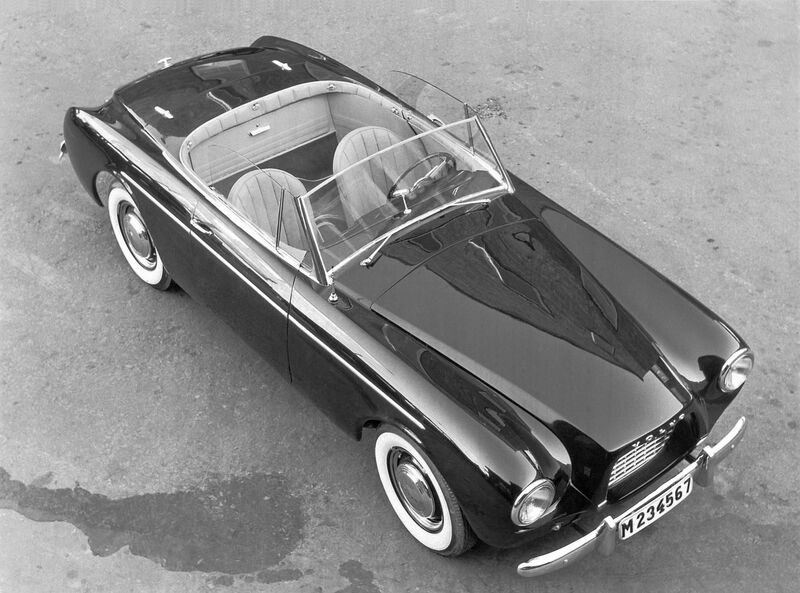 Three prototypes were built and Volvo debuted their new Volvo Sports P1900 at the Brussels Motor Show of 1955, putting the car into production in 1956. The P1900 was built using similar production methods as the American Chevrolet Corvette and it was based on the much loved and very reliable Volvo PV444, what could possibly go wrong? 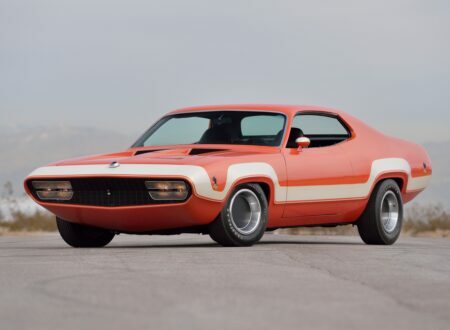 This was at a time when the glass reinforced plastics industry was engaged in hard selling the advantages of their method of building car bodies and both Chevrolet and Volvo would put sports cars into production using this construction method. For Chevrolet it was the C1 Corvette, and for Volvo it was the P1900. In both the Corvette and Volvo P1900 the same problems of shoddy build quality led to both companies seriously considering ending production. In Chevrolet’s case the C1 Corvette was saved by the introduction of the Ford Thunderbird for which Chevrolet had to have a competitor, and by Zora Arkus-Duntov the “Father of the Corvette”. The car was thoroughly debugged so the doors would not unexpectedly fly open when cornering. 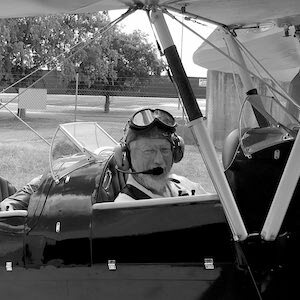 In the case of the Volvo Sports P1900 the end came when Assar Gabrielsson was succeeded as Vice-President by Gunnar Engellau, who had been the engineer in charge of Volvo’s aircraft engine subsidiary. He ordered the ending of P1900 production in 1957 after engineers Helmer Petterson and Pelle Nystrom took one on a 16,000 kilometer test drive through southern Europe and North Africa and came back with a negative report. Engellau remained convinced that a sports car was needed for Volvo to be successful in the US however and he commissioned work for a suitable new sports car. Above Image: Volvo P1800 and Amazon platform. Gunnar Engellau believed that the proposed Volvo sports car should be based on the new Volvo Amazon 120 series platform, but the bodywork styled in Italy, preferably by Ghia who had done work for major US makers. Helmer Petterson’s son Pelle was at the time working for Frua, which was a subsidiary of Ghia and had been the designers of the AC 428. Pelle Petterson created a design for the new Volvo and his design was submitted with a number of others although no-one other than he and his father knew that he was the designer: it was assumed it was the work of an Italian. In fact Pelle Petterson created his design under the tutelage of Pietro Frua so there was no doubt an Italian influence. When it came time for the Volvo Board to review the designs from Italy they were presented with five options: four of these had come from Italian designers, and one anonymously from Pelle Petterson, a Swede. The board chose Pelle’s design and it was Gunnar Engellau who particularly liked the design. It was approved to go forward into production. What transpired next turned out to be a little awkward. When it was revealed that Pelle Petterson was the car’s designer Gunnar Engellau became very annoyed, believing he had been deceived, and stated flatly that Pelle would never be acknowledged as the car’s designer. Pelle would go on to become a successful boat designer and Olympic medalist in boat racing, but his role as the designer of the Volvo P1800 would not be publicly acknowledged until 2009. The P1800 was largely based on the Volvo Amazon 122S including being fitted with the same B18 B engine and M40/M41 transmission. The first three prototype cars were built by Frua between September 1957 and the beginning of 1958. Volvo’s manufacturing capability in Sweden was fully committed to the new Amazon and so they needed to look elsewhere for another maker to manufacture the P1800 cars for them. Their first approach was in December 1957 to German company Karmann, who made the Volkswagen Karmann Ghia. When Volkswagen got wind of this they forbade Karmann from entering into a contract with Volvo. 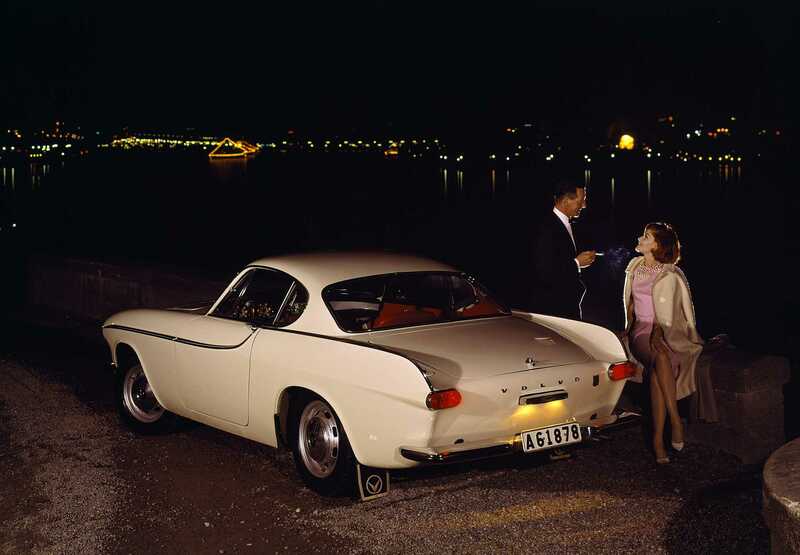 Volkswagen regarded Volvo’s new P1800 as a competitor to their car and threatened to end their existing relationships with Karmann if they built it. This left Volvo with the need to look elsewhere, so people did some thinking about alternatives. Hellmer Petterson was a freelance design consultant and he did some research and found that he could get sufficient financial backing to build and market the car independently should he so choose. Meanwhile Volvo kept the existence of the car secret and considered their options. The car did not remain secret however and its existence was leaked to the press leading to Volvo deciding to pursue manufacture of the car. To this end the second of the three prototypes was exhibited at the 1960 Brussels Motor Show and garnered considerable positive interest. Volvo were unable to find another European maker who would be suitable to manufacture the P1800 although they approached a number, including NSU. It was time for Helmer Petterson to take a cross channel ferry and see what might be possible in Britain, the home of some of the greatest sports cars in the world. Volvo approached British sports car maker Jensen who were the makers of the body panels for the Austin-Healey sports cars. An arrangement was reached with Jensen that the bodywork for the P1800 would be made by Pressed Steel at their Linwood plant in Scotland which had opened in 1956, and then transported to Jensen, who would do the final paintwork and assembly of the cars. Pressed Steel had a good name being the company that made body panels for the likes of Rolls-Royce, Bentley, Rover, Daimler, Jaguar and Alfa Romeo. 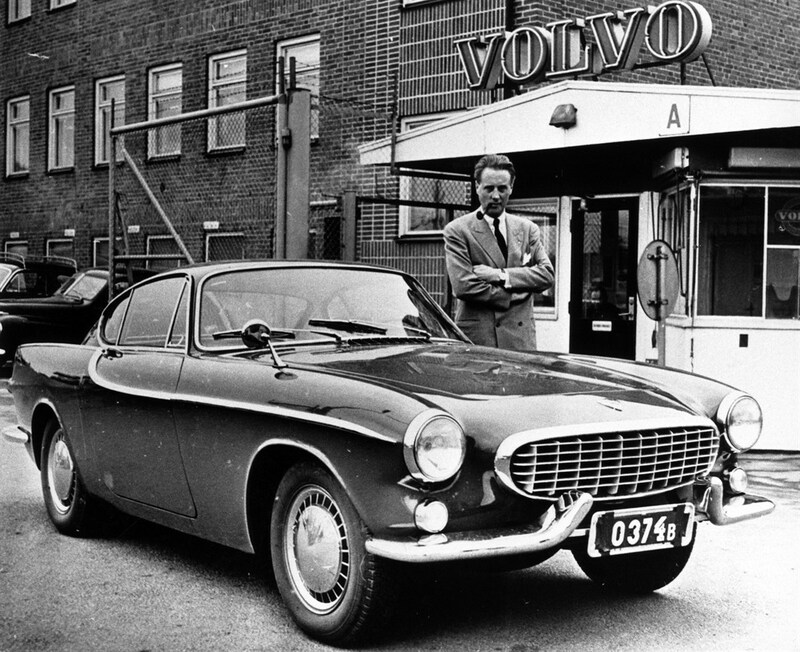 Manufacturing began in 1960 with the first P1800 rolling off the production line at Jensen in September. 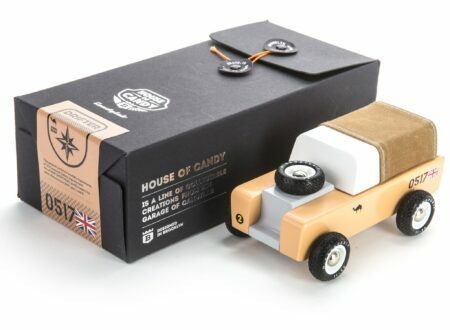 It did not take long however for Volvo to realize that the quality control provided by the British makers was sub-par. There were also problems with labor relations and logistics. Volvo became increasingly concerned and frustrated. The original contract had been for 10,000 cars but Volvo decided to bite the bullet and in April 1963 transferred manufacturing to their Lundby, Gothenburg facility in Sweden with only 6,000 cars made in Britain. 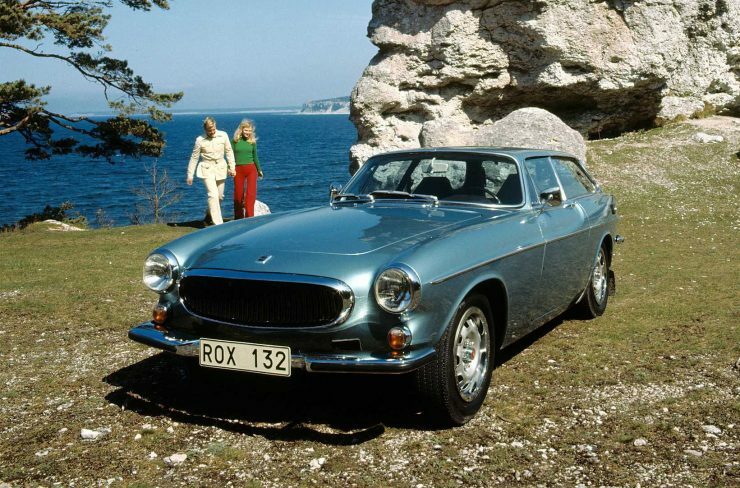 The Swedish built cars were designated the Volvo 1800 S, with the “S” denoting that they were made in Sweden. 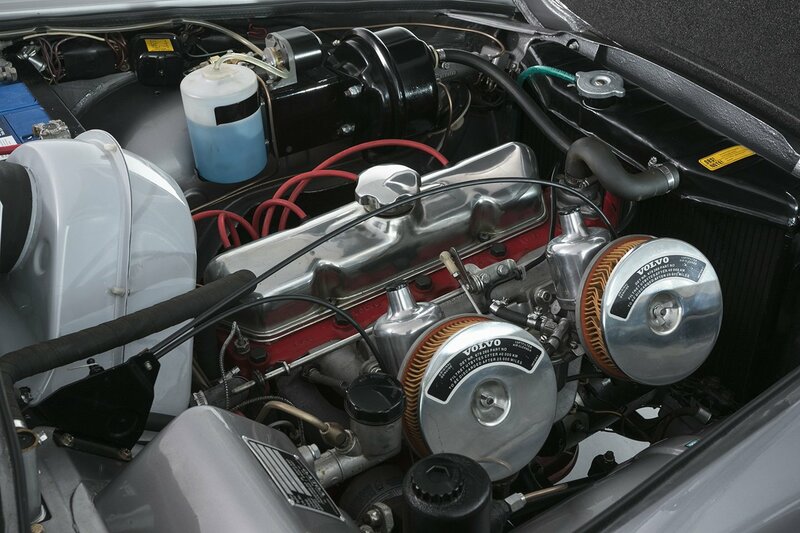 The first production cars featured engines producing 108hp and in 1966 the power was upped again to 115hp. In 1969 the engine was changed from the B18 B to the 2 liter B20B producing 118hp. 1970 saw the introduction of the Volvo 1800 E which was fitted with the B20E engine that was fitted with Bosch D-Jetronic fuel injection. The “E” standing for “Einspiritzung” (i.e. fuel injection). With its revised camshaft this engine provided 130hp and gave the 1800 E a standing to 100 km/hr (62.1mph) of 9.5 seconds and top speed of 190 km/hr (118 mph). The 1800 E was the first model to be fitted with disc brakes on all four wheels. As early as 1965 Volvo had been looking at a variety of body styling options for the P1800. Italian designer Fissore presented a fastback concept that made the P1800 look a bit like a Ford Mustang. Another Italian designer Coggiola came up with a couple of designs that got Volvo thinking however, the first was the “Beach Wagon”, and the other the “Jaktwagen” which translates as “hunter’s car” or “shooting brake”. 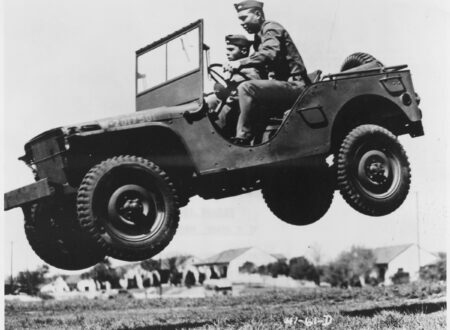 Going to the beach, and going shooting or fishing were common activities in the United States and Canada. So the notion of building a station wagon version of the P1800 gained some traction. 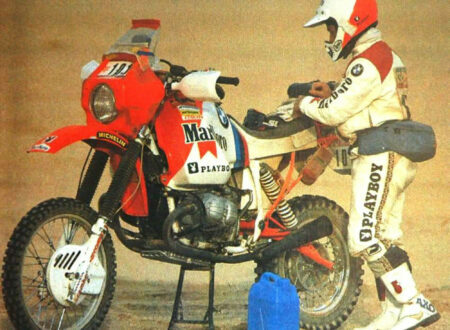 It looked to be exactly the sort of model that would sell well in North America and similar markets. Frua also came up with a shooting brake version they called the Rocket, a design which scores a 10/10 on the scale of ugly creations and which was not chosen. 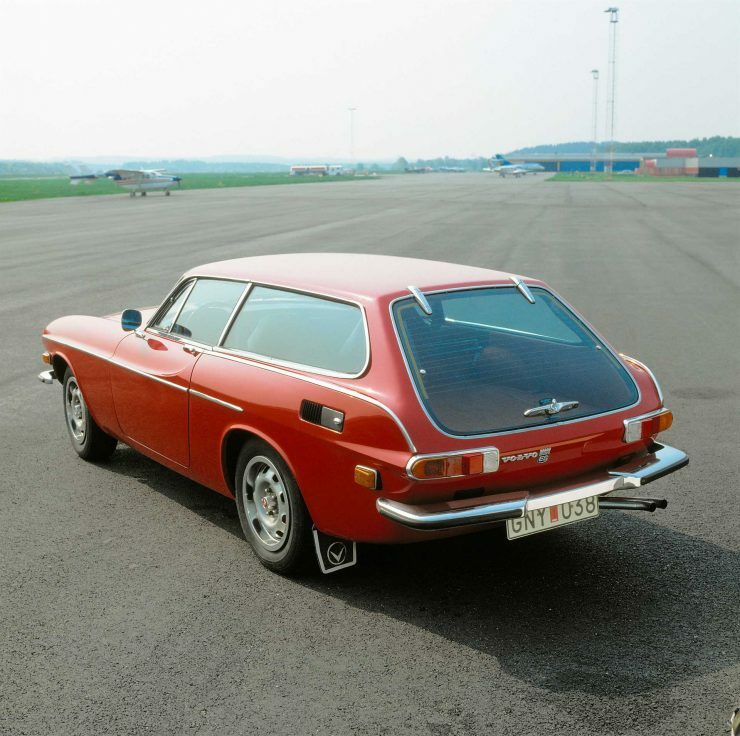 It was Volvo’s in-house designer Jan Wilsgaard, the man who had designed the Volvo Amazon, who came up with the much admired final design for a shooting brake version of the P1800 and it would be put into production on September 30th, 1971. Jan Wilsgaard’s design featured large side windows and a tailgate which was of unframed glass, angled to ensure the car maintained a sleek look. With its side windows and glass tailgate it was nicknamed the “Fiskbilen” in Swedish (“Fiskbilen” meaning fish van) while the Germans were morbidly poetic and named it the “Schneewittchensarg”, which translates as “Snow White’s Coffin”. Regardless of the nicknames many believe that the Jan Wilsgaard design actually improved the looks of the original 1800 and gave it a great deal of flexible functionality. This model was designated the 1800 ES and it featured a rear seat that could be folded down to provide a decent flat load area in the back. In the interests of ensuring that the 1800 ES was a flexible and practical road car the engine power was reduced by reducing the compression ratio through the use of a thicker head gasket and re-tuning to give it 125 hp, and also making the engine’s power and torque more even. Among the reasons for doing this was the decision to offer the 1800 ES with an optional three speed Borg Warner automatic transmission, something that suited the style of the car and broadened its appeal. As a “shooting brake” is likely to be used on dirt roads and tracks improving the flexibility of the engine was a sensible thing to do. 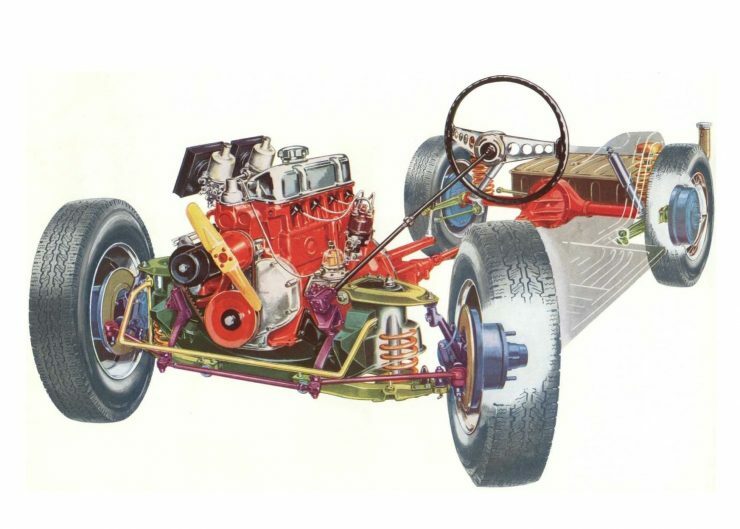 The standard transmission was the M41 four speed all synchromesh gearbox with Laycock de Normanville electric overdrive on the top two gears. The 1800 ES entered production in 1972 and was the last model of the P1800 series. It was taken out of production in 1973 when new emissions standards came into force in the United States rendering it uneconomic for Volvo to adapt the car to meet them. Body: Pressed steel unibody based on a shortened version of the Volvo 120 Series Amazon. Dimensions: Length 171.3″–173.2″ (4,350–4,400 mm ), Width 66.9″ (1,700 mm), Height 50.4″-50.6″ (1,280–1,285 mm), Wheelbase 96.5″ (2,450 mm). Suspension: Front independent suspension with rubber mounted control arms and ball joints, coil springs with telescopic shock absorbers. Rear rigid axle mounted by two longitudinal rubber-mounted support arms and two longitudinal rubber-mounted torque rods with transverse location of axle by track rod, coil springs with telescopic shock absorbers. Brakes: 10⅞” disc front brakes and drums at the rear until 1970 when the 1800 E was fitted with discs on all four wheels. Engines: Inline 4-cylinder B18B OHV engine with five main bearings of 1,778 cc capacity. Twin SU carburetors. Power 100 hp (British built cars from 1961 until move to Swedish production in April 1963), 108hp (1963-1965), 115hp (1966-1968). The engine was changed to 1,986 cc B20B producing 118 hp in 1969. In 1970 this engine was given Bosch D-Jetronic fuel injection for the 1800 E model. 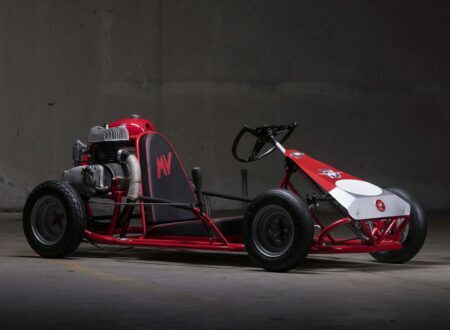 Power of the fuel injected engine was 130 hp. In 1972 with the introduction of the 1800 ES this engine’s compression ratio was reduced and the engine was de-tuned to provide 125 hp but more flexibility, this engine remained until the end of production in 1973. Transmissions: Four speed manual all synchromesh M40 gearbox or optionally the M41 all synchromesh four speed with Laycock de Normanville overdrive. For the 1800 ES the M41 overdrive gearbox was standard and a Borg Warner three speed automatic was available as an option. When it was introduced the P1800 fitted market interest perfectly. Many people wanted a sports car but also wanted it not as an open top roadster that would prove to be uncomfortable and not waterproof in bad weather, but instead wanted a practical closed sporty coupé or hatchback. 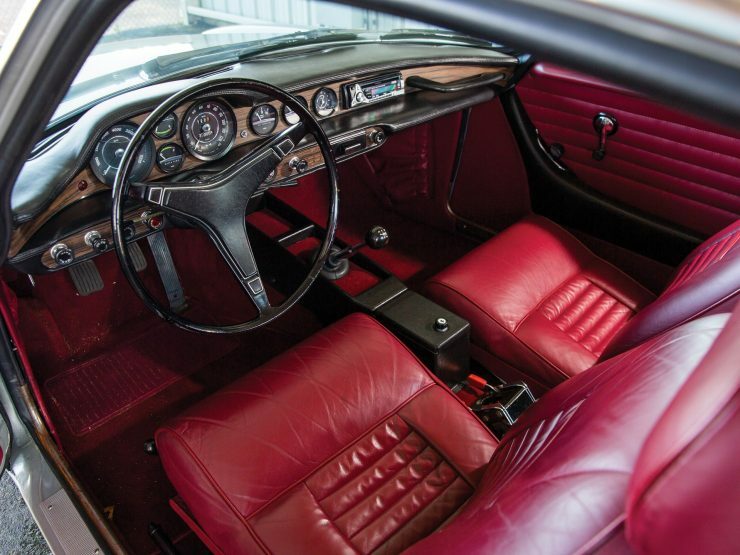 The MGB GT was created to fill exactly that consumer demand and so Volvo were right on target with the P1800, and were arguably even more on target with the 1800 ES shooting brake version. Add to this that most people can’t afford to buy an exotic Ferrari or Maserati, nor could they afford the astronomical maintenance costs of such a thing. But Volvo offered a sporty practical car that would just about go forever, with great comfort but yet with a real sports car feel and look. The P1800 put a lot of attractive features into a very affordable package. Having a car you produce star in a popular film or television series was considered to be a great boon to sales by car manufacturers and Sir William Lyons of Jaguar, who was an accomplished salesman, knew this. So it is interesting and perhaps a little perplexing, that when he was approached by the producers of the new television series “The Saint” which would be screened in 1963 that he declined. Perhaps he was expecting that an E-Type was going to be the car of choice for the makers of the James Bond movies, a hope that was not fulfilled. But as it was “The Saint” was left without a suitable car for the TV series and the producers needed to go looking elsewhere. 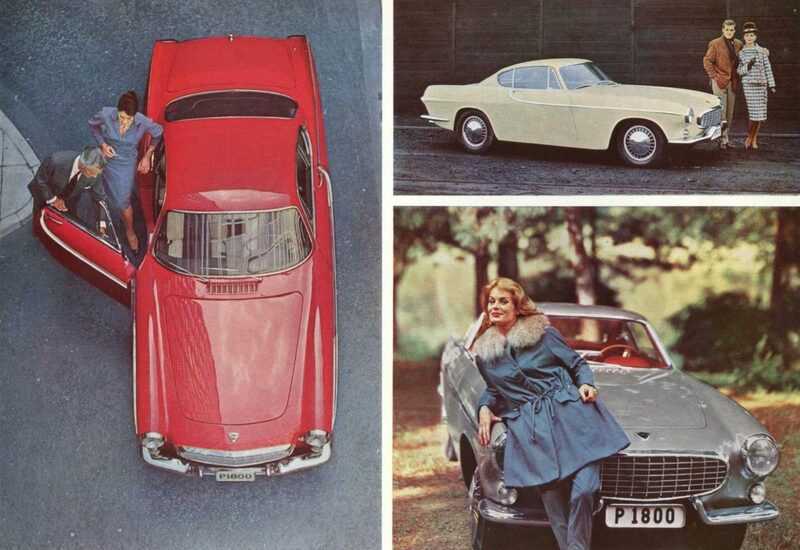 Thus it was that when they approached Volvo they found that the Swedish manufacturer, who at that time was having the P1800 made in Britain, were happy to supply cars for the series. 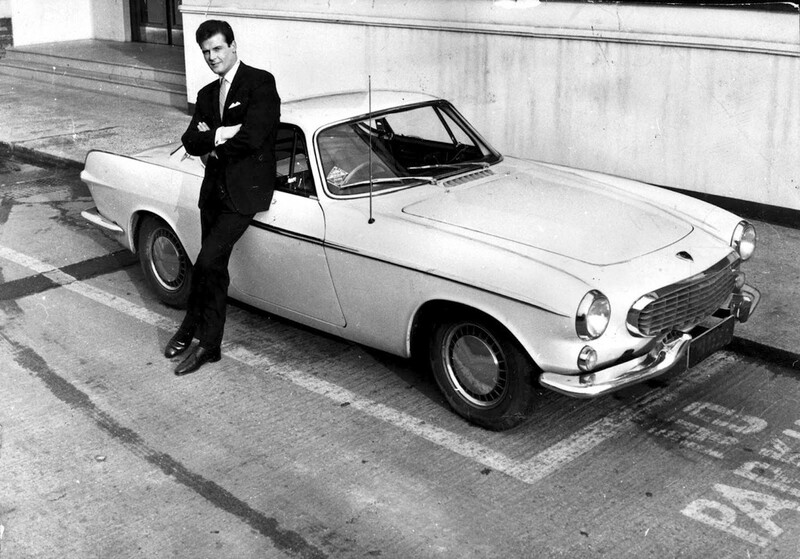 In fact Roger Moore who played Simon Templar “the Saint” purchased a P1800 of his own, the same white color as the film car, so he was seen driving a P1800 both on the screen and on the roads of Britain. Perhaps it was better that Simon Templar did not drive an E-Type, after all from 1961-1963 E-Types were fitted with the Moss gearbox which lacked synchromesh on first gear. 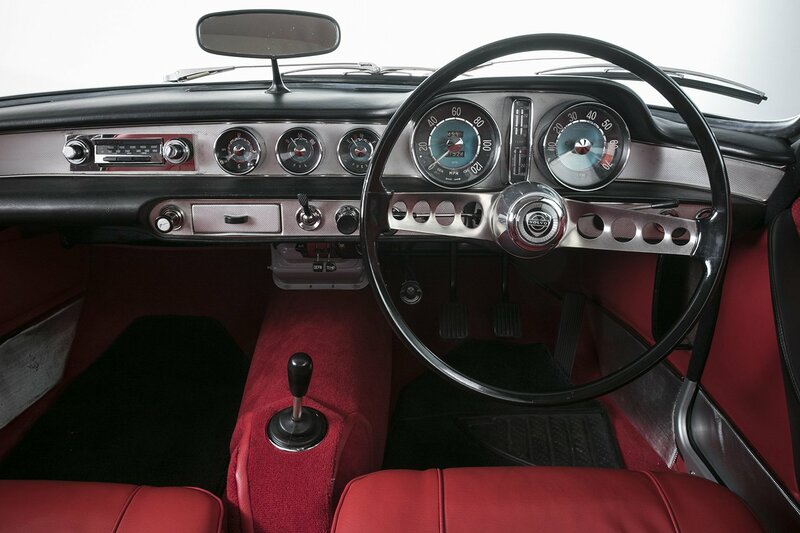 The Volvo P1800 however had synchromesh on all four gears and was available with electric overdrive too. 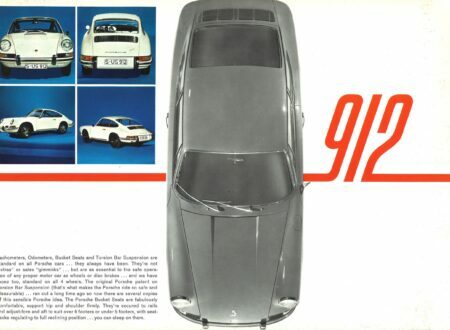 The television series did a great deal to promote the P1800 and toy car makers such as Corgi made models of it for fans of the series. The license plate of the film car was “ST1”, most apposite. Roger Moore’s portrayal of gentleman adventurer Simon Templar was a celebration of what a British gentleman should aspire to be. The P1800 was built on the foundation of the legendary Volvo Amazon and so it was made to last, and it was made to go, not to break down. The record mileage on a P1800 was set by Irv Gordon of East Patchogue, New York, who got his name into the Guinness Book of Records in 1987 when he’d covered 1.69 million miles. Irv had bought the car in 1966 and had been the only owner, and he had not been using it for commercial purposes. 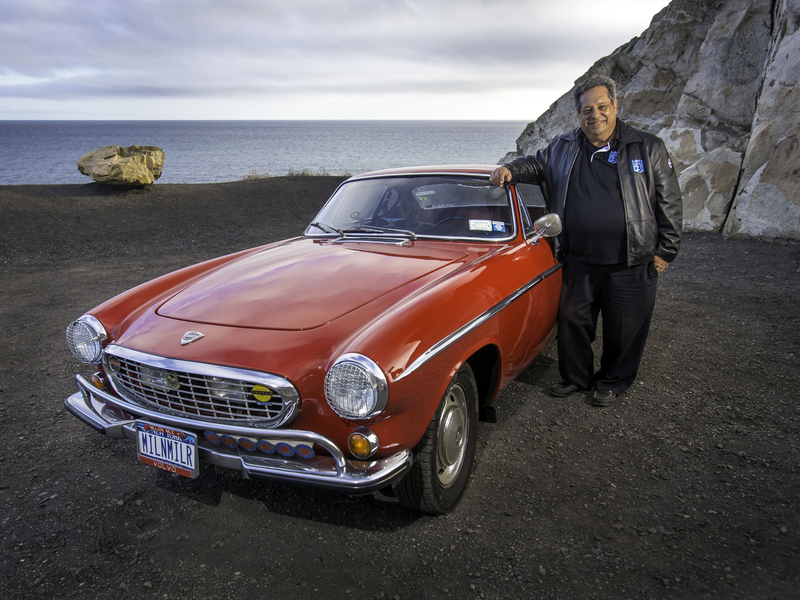 Irv kept on driving the P1800 and by 2002 had reached the 2 million mile mark, and was featured on Jay Leno’s “The Tonight Show with Jay Leno”. 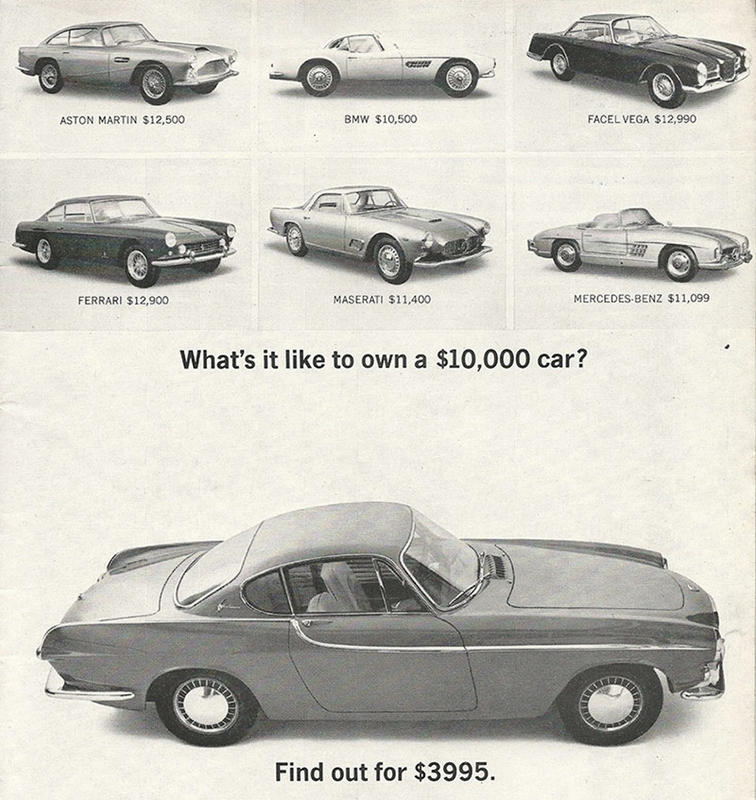 In September Irv and the P1800 reached 3 million miles and he and the P1800 were still going. By the time Irv passed away on November 15, 2018 his P1800 had reached 3.2 million miles. 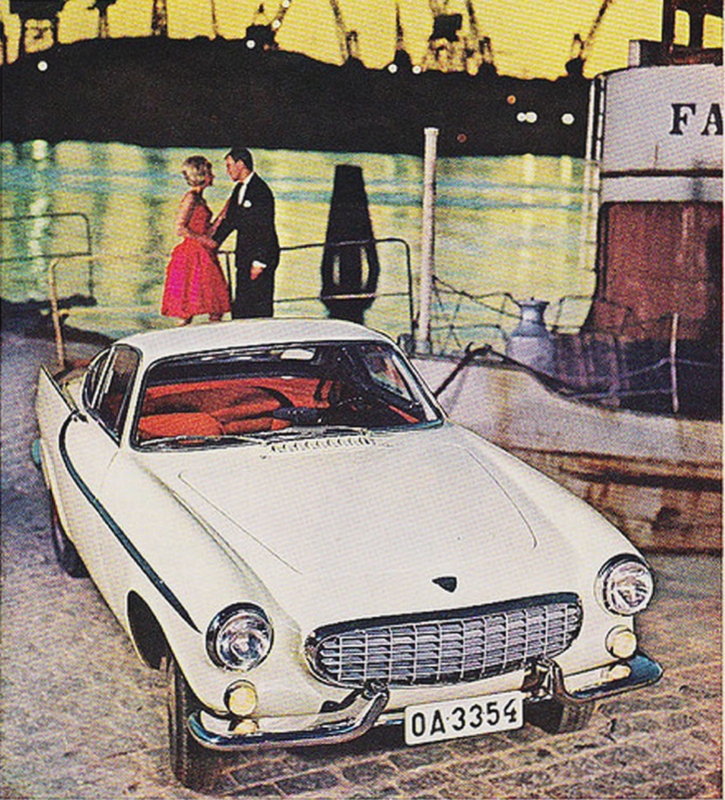 Irv Gordon’s P1800 was a testimony to the durability of the cars built on the Volvo Amazon foundation and both he and the car featured in Volvo promotional materials. But there is something more telling about Volvo’s attitudes to building automobiles back then. I remember taking a high mileage car that was not a Volvo into a dealer for a service some time ago and when he saw the mileage he said “we wouldn’t want to build too many like that”. A car manufacturer can have an attitude that they want a car to wear out nice and quickly so you’ll be forced to buy another new car, and often to go into debt to do it. By comparison Volvo in the 1960’s were building cars that would last, and that would build the company’s name as a manufacturer of cars that would last, Irv Gordon’s P1800 being a great example. Production of the P1800 series was brought to an end in 1973. The burgeoning emissions regulations and vehicle standards rules took their toll and Volvo also believed that the P1800 was beginning to look a tad dated. Perhaps back then the idea of “retro” had not been fully realized yet, but the “Three Million Mile Car” was retired and replaced. For those of us who appreciate “retro” the P1800 remains one of the great classic cars that can be used as a daily driver. If you have a hankering to repeat Irv Gordon’s three million miles then a P1800 would be a perfect choice of vehicle to do it in.